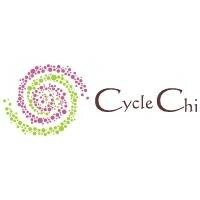 Start taking classes at Cycle Chi and other studios! Cycle Chi is the first and only Indoor Boutique Cycle Studio in Vienna, VA. We have 20 new Schwinn Carbon Blue bikes, a state of the art FitMetrix Performance Data System which displays your stats on the monitors and high energy, fun and knowledgeable instructors. We believe form and posture are critical to getting a great workout so we also have Sculpt, Kettlebell and Foam Rolling classes off-bike for a full-body conditioning without potential risk of injury. It's all about positive energy and fitness with goal-driven rides to get you results! Come Feed Your Chi!!! Please make sure to bring your own water bottle and if you have them, cycle shoes with SPD clips. They provide lavender towels, have a water cooler available, and have bottled water available for purchase. They are located on the corner of Church St. and Mill St. in Vienna; just off the W&OD bike trail. Next to Pennywise Thrift Shop. Really liked the combo of riding and sculpting. Very nice studio with welcoming teacher and clientele. Not as loud and dark as other spin studios so that may be a plus or minus for you depending on what you’re looking for. A 945 or 10am time slot can be hard to come by at other studios around NOVA so I’ll definitely be back! Thanks for a great class! Fantastic instructor and amazing cardio! Krista made the class while making you push yourself hard! Patty was great, fun and very motivational. I would absolutely go back. I also liked the workout at the end with the bands. Super friendly teacher Patty and welcoming class. Helped me set up the bike before class and was encouraging for a first time student in their studio. Excellent full body workout. The instructor and other participants are very welcoming and motivating! Had a great time getting to know the bike and getting some cardio in. Krista had good music and the ride was timed perfectly. She also has great energy. Cycling + foam rolling = amazing. Slower paced class but Gina is a very knowledgeable instructor who focuses on proper form.